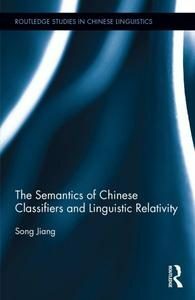 The Semantics of Chinese Classifiers and Linguistic Relativity focuses on the semantic structure of Chinese classifiers under the cognitive linguistics framework, and the implications thereof on linguistic relativity and language acquisition. It examines the semantic correlation between a given classifier and its associated nouns. Nouns in Chinese, which are assigned specific classifiers according to their selected characteristics, reflect the process of human categorization. The concrete categories formed by the relationship between nouns and classifiers may serve to explain the conceptual structure of the Chinese language and certain underlying aspects of culture and human cognition.